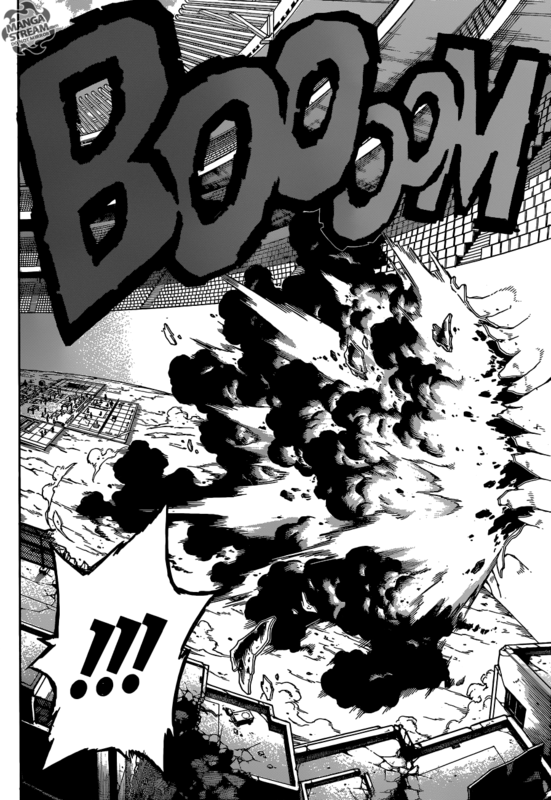 Yoarashi Inasa, aka Gale, uses his wind powers to move rubble with surgical precision. However, he is penalized for being too reckless. He response favorably and ends his technique. The students continue to discuss what they should or shouldn’t do in regard to the situation. The exam is clearly designed to teach the students to work together and hone their quirks. If he students learn the scope and limitation of their quirks, so that they can be more effective heroes. However, according to one civilian the students “waste too much resources” and aren’t likely to pass as a result. Katsuki runs into two civilians with arm injuries, he rudely tells them to keep moving. He concludes that “refuses to help them since they can still move their legs.” He is actually not penalized for not helping them, but for his rude language. Izuku brings another injured child to the healing shelter, meanwhile, Gang Orca arrives, adding another problem onto the current situation. The testing has gotten more interesting and it seems that the students aren’t doing too well. It’s important that the students learn to work together, and even some of the student’s have decided to work with other classes. With, Gang Orca now an additional problem has increased the difficultly. I wonder how the students can balance the injured civilians with Gang Orca. 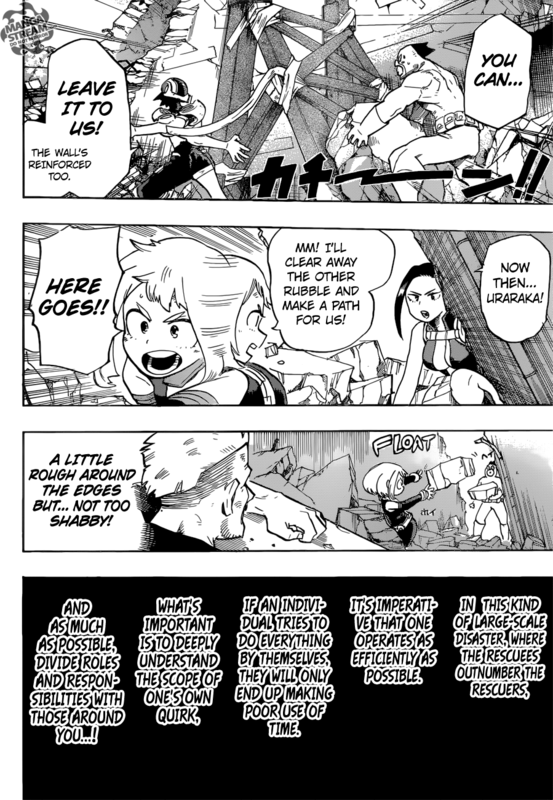 I can assume that some of the more fight oriented students like, Katsuki will fight and students like Izuku will save the civilians. It will be interesting to see which behavior is ranked higher. Eileen, the scarlet despair, uses her “enchant,” spell to change the soldiers into “berserker’s.” The soldiers abilities are enhanced, but they lose their ability to reason. Ezra attacks the berserker, to no avail as they are impervious to injury. 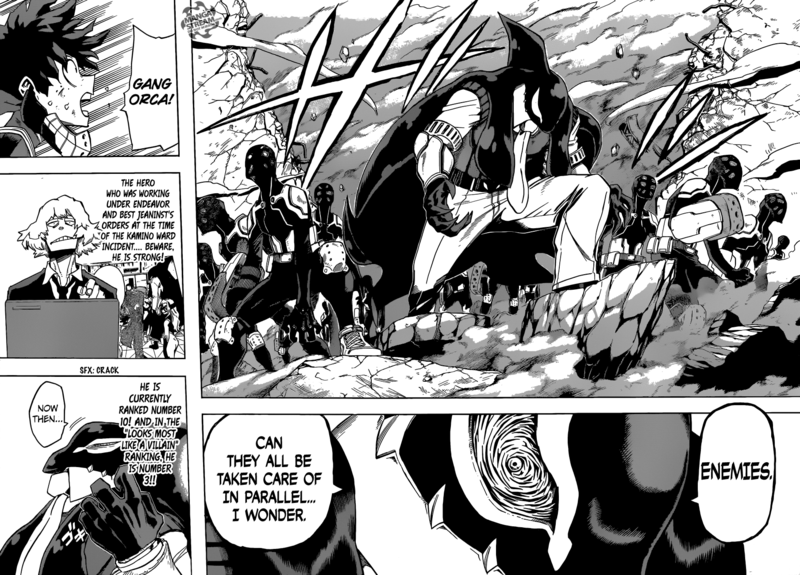 With the large number of soldiers the Fairy Tail guild, is in trouble. Makarov accessing the situation aims to end the fight with the use of Fairy Law. 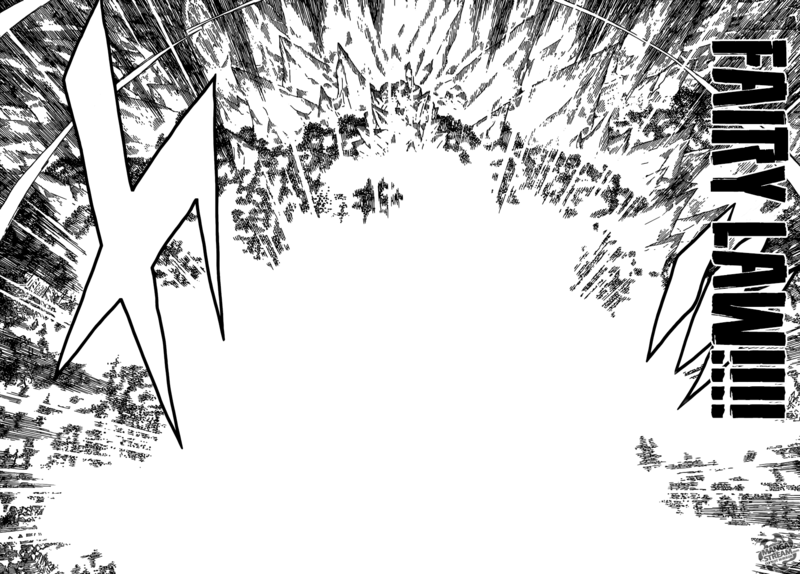 The members of Fairy Tail are excited at the use of this spell and they feel that the battle will be won as a result. Mavis arrives and informs Makarov that she has a plan that can save everyone. 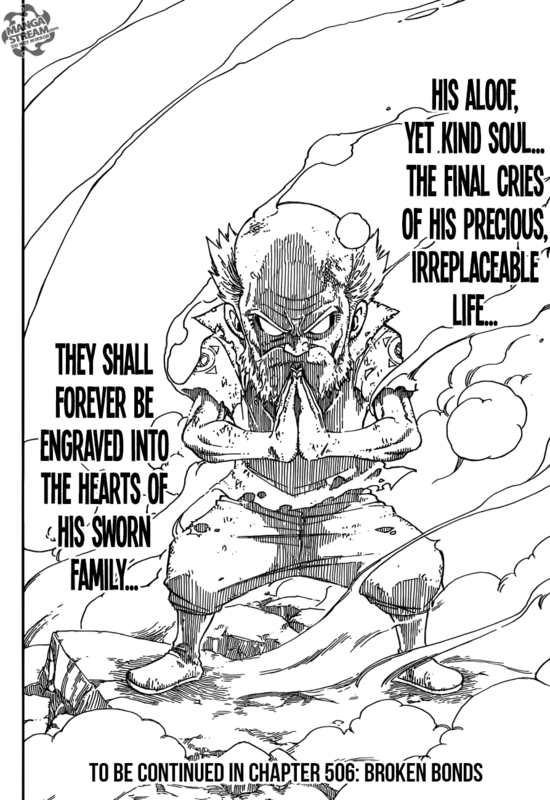 Makarov tells her that he will sacrifice himself for his “family.” He enacts his final spell, “Fairy Law.” His sacrifice has all the fairy tail members in tears. 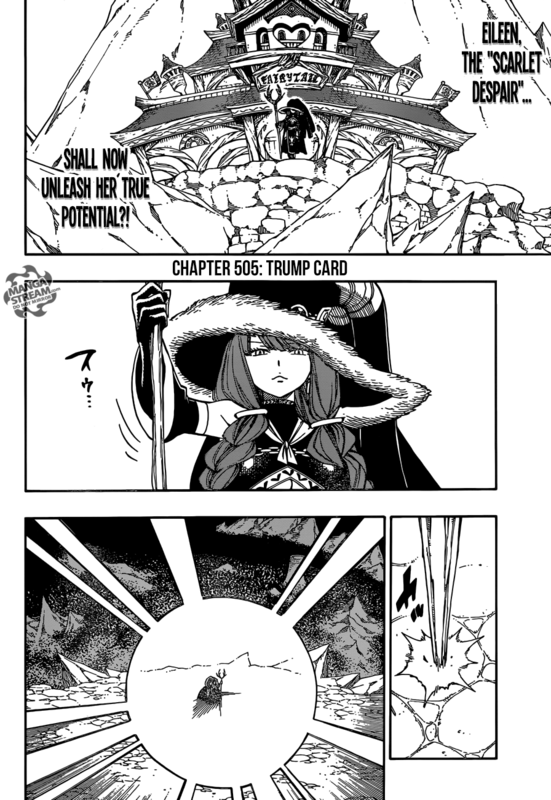 I think that Makarov’s sacrifice was hasty, as Mavis may have had a plan. He also seemed to think that Mavis didn’t love or care for the members of Fairy Tail. Anyway, his death will likely turn the tide of battle in their favor. Luffy continues his consumption of the biscuit soldiers as Cracker creates more. Nami comes to Luffy’s aid by using rain to soften the soldiers. 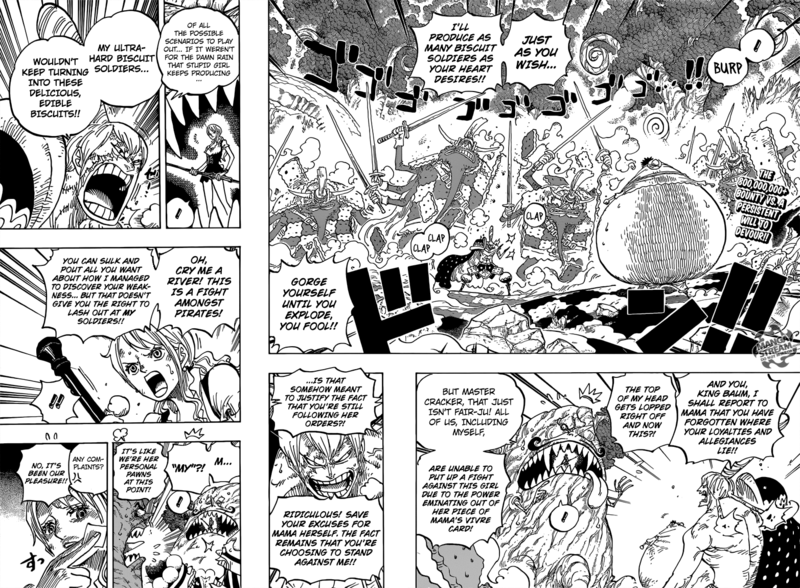 Luffy seems full and Nami tells Cracker that Luffy has “unlimited hunger.” Luffy continues to eat the soldiers, meanwhile, at Sweet City, the civilians are shocked when they see Chopper and Carrot running through the mirrors. In Germa Kingdom, the preparations for the wedding is ready and Sanji is healed by his sister. Sanji and his family begin their trip to Whole Cake Chateau. We return to the Seducing Woods, where we see that Luffy has reached his limit. Cracker believes that this is his opportunity to attack Luffy. 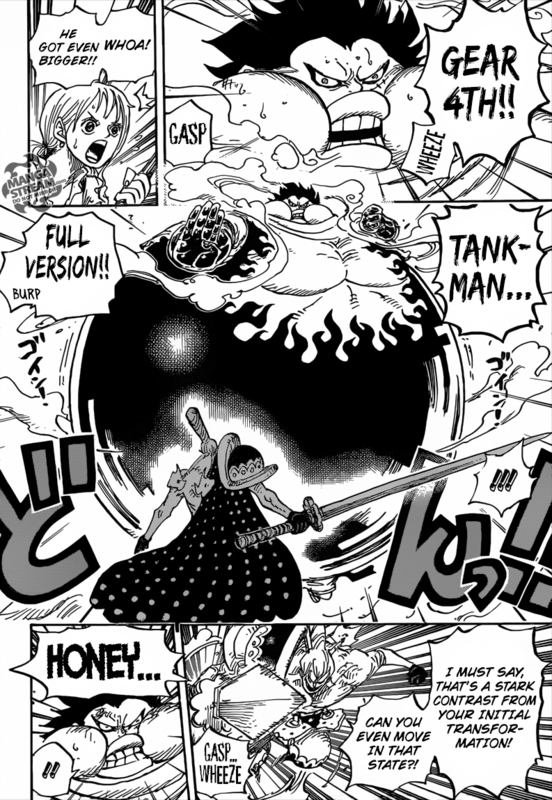 Luffy uses his current size to reveal a new form of Gear Fourth, Tankman. Cracker is unimpressed and attacks Luffy with Pretzel. His attacks are absorbed by Luffy, a long with Crackers entire body. 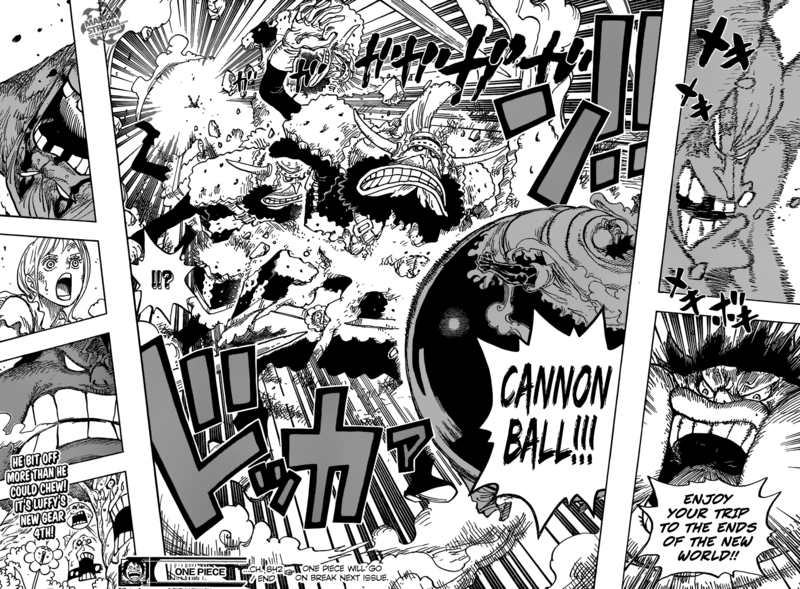 Luffy shoots out Cracker like a cannon ball. The story feels like it’s reaching toward a climax. 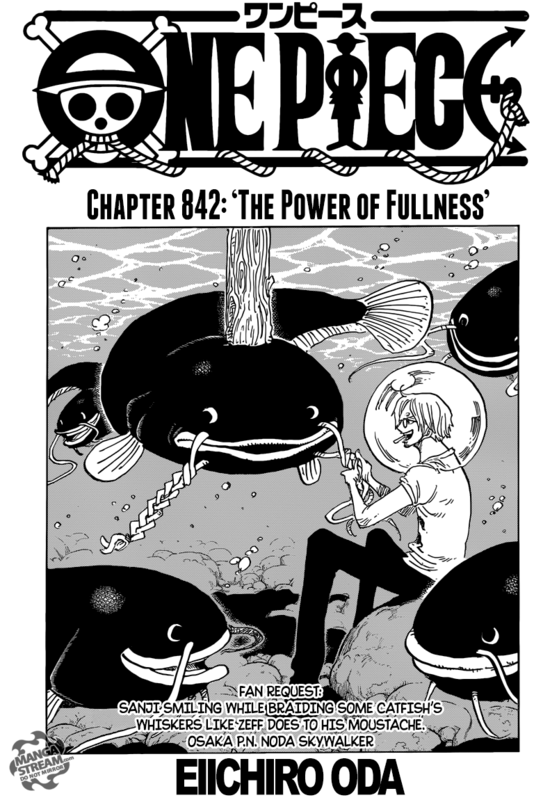 Sanji is finally coming to Whole Cake Chateau, while Chopper and Carrot seem to be heading there as well. I think Cracker has finally been defeated and with Nami’s new found power over the homies, they would be heading there as well. I like that Nami got to be more effective in this fight. I wonder how far the homies will follow her.